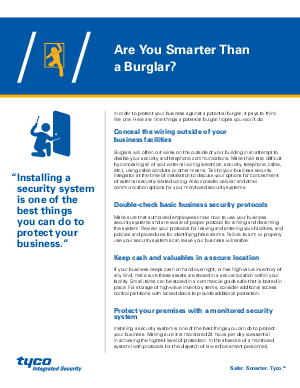 In order to protect your business against a potential burglary, it pays to get in the mind of a burglar. We did just that. From concealing the wiring outside your business facilities to maintaining a closed-door policy, we provide nine easy tasks that a potential burglar hopes you don’t do. Incorporating some of these tips into your company’s routine should be simple, and they can save you a great deal of unnecessary pain down the line.